Climbers like the fall because the heat and humidity are gone. What’s more, the great climbing destinations in the United States usually come with great views as the leaves change color. While the trees are still colorful and the weather is still decent, here are some classic climbing areas around the U.S. you’ll want to visit this fall. Castle Rock, Colorado. Also known as Boulder Canyon, Castle Rock is a 250-foot-tall granite rock that has been drawing more and more climbers since the 1950s. Climbers can not only climb the large rock but there are also bouldering opportunities on Castle Rock and other nearby areas. Castle Rock is also known for its incredible fall scenery with changing foliage and polished stone above the river. Boone, North Carolina. 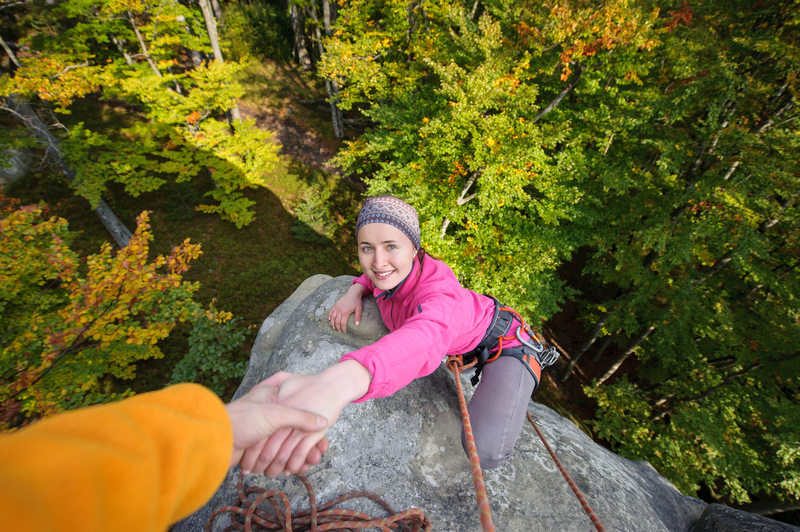 Boone is home to a supportive community of climbers and an incredible rock climbing experience. The stone in the area is great for bouldering or climbing and the fall foliage in the northwest corner of the state makes for a great autumn trip. Smugglers’ Notch, Vermont. If there’s one place you want to visit during the fall, it’s Vermont. With acres of gorgeous trees, there isn’t anywhere you won’t see a beautiful autumn scene. Paired with the steep walls and jagged blocks of Mount Mansfield, and you have a rock climbing experience you’ll never forget. Yosemite Valley, California. Yosemite Valley may not have the fall foliage of Vermont, but it does have great temperatures during the fall that rock climbers will be thrilled by. El Captain is a destination site to truly test your skills, and Midnight Lightning is a top bouldering destination. Looking for climbing supplies for your next trip? Whether you’re looking for climbing supplies, fishing equipment, or adventure gear, Bill Jackson’s has everything you need for your next outdoor adventure. To learn more about our climbing supplies and gear, contact Bill Jackson’s today.